What is it that makes Atticus Finch, the character played by Gregory Peck in “To Kill a Mockingbird” so admirable? Have you ever heard anyone say, “I really can’t stand that Finch character - he adds nothing to the story.”? We cheer Atticus when he stands up for an innocent man despite how he and his family are treated as a result, we want to fight for him when Bob Ewell spits in his face, and we adore this single parent’s ability to be loving, and yet firm, with his children. If we admire Finch so much, why don’t we emulate and incorporate his wisdom into our own lives more? 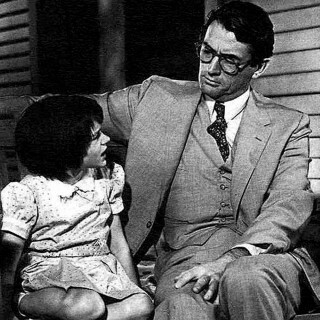 I, for one, don’t do a very good job at following the acumen of Atticus. I can write about my admiration of wise and thoughtful actions of people around the world all day long, but to live it – that’s whole other can of worms (and yes, mockingbirds eat worms). If I look at other areas of my life where I might do a better job at the imitation of others, I realize that, as a younger writer, I did my best to mimic the routines and writing habits of successful authors. I always create a room/space based upon the advice of Virginia Wolfe, I write when I feel like it or not as advised by Khaled Hosseini and – per Stephen King – I don’t obsess over perfect grammar. Although I’m far from the success of these famous authors, I have come a long way by emulating their habits and advice. I may not write for the New York Times (yet) – but I do write for The Windham Eagle newspaper and have at least one or two fans! That’s more than when I started! Seeing how emulating my favorite authors propelled me into my own world of writing, what would happen if I incorporated the wisdom of Atticus Finch into my life with small steps. What if, every time I feel a little fear about something I believe is important, I exercise the muscle of courage – and step into it. What’s the harm in trying?